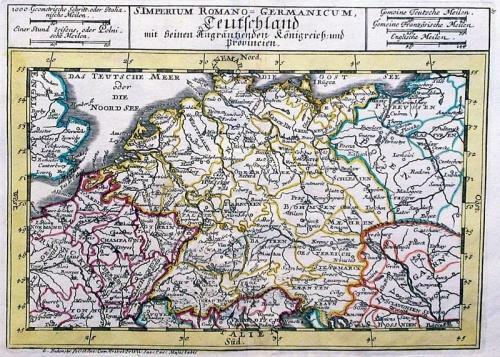 A detailed map of the Holy Roman Empire divided into its respective Kingdoms and Provinces. Scarce. Fold(s) as given.